Gladstone’s Library has revealed the names of the 10 writers shortlisted for its prestigious Writers in Residence award for 2017. This year’s submissions were drawn from a pool of entries from around the world. To qualify for consideration, all applicants had to submit a book published in the last three years as well as a short piece of writing on liberal values. Now into its sixth year, the Writers in Residence programme, established in association with Damian Barr (saloniere and author of Maggie and Me), was set up to explore and define liberal values in the twenty-first century. The shortlist is made up of novels, poetry and creative non-fiction that, in the eyes of the panel of judges of authors, industry experts and members of the Gladstone’s Library team, best represent some of the most creative contemporary writing. Four of these authors will now be awarded a month’s residency at the Library in Hawarden. This year’s judging panel consists of Senior Strategy Director at FutureBrand and Trustee of Gladstone’s Library, Freddie Baveystock; writer and journalist Peter Moore; author and journalist Melissa Harrison; poet Judy Brown; Peter Francis, Warden of Gladstone’s Library and Director of Collections and Research at Gladstone’s Library, Louisa Yates. Judging takes place on Friday August 5th and the winners will be announced on Monday October 3rd at the National Liberal Club in London when the four winning authors will read from their work. #chesterculture – DemFest – Gladstone’s Library – Friday 13th May and Saturday 14th May 2016. A brand new festival will be making its debut in Hawarden next month. The Democracy Festival will be held at Gladstone’s Library, Hawarden on Friday 13th May and Saturday 14th May 2016. DemFest, run in partnership with The Raymond Williams Foundation and The Democratic Society, is a space to meet people, develop fairer and more participatory forms of politics, and enjoy a range of democracy-related cultural events. At DemFest you will have a chance to think, get-together and talk with others with similar interests or projects. You won’t just hear a party line, DemFest is non-partisan and independent. Why now? We are living in tumultuous times. The UK may be on the brink of fracturing and leaving the European Union, power and resources are increasingly concentrated in fewer and fewer hands and the gulf between the UK’s main political parties is rapidly widening. Meanwhile, myriad possibilities for new forms of democratization are opening up. Whether through experimentation at community level, developments in online technology or the growing public appetite for more collaborative and less hierarchical ways of living, DemFest is about getting together to explore, celebrate and help re-make democracy for our times. An affordable festival (prices range from free to £6) aiming to engage and provide a forum for discussion for those of all ages and backgrounds; but you won’t hear a party line; DemFest is non-partisan, independent, and not-for-profit. Guests include Natalie Bennett, Leader of the Green Party; Peter McFadyen, author of Flatpack Democracy and Robin McApline from Common Weal, a ‘think and do tank’ campaigning for social and economic equality in Scotland. Confirmed events include Women and Protest, exploring women’s particular history of protest, objection and defiance from Suffrage to SlutWalks; Futures of European Democracy, considering the future of the UK in Europe; State of Emergency: War, Terror and Democracy, defining the responsibilities of ‘democratic’ states in the contexts of migration, asylum and war; and Democratization and the Media, asking what needs to happen to ensure our media is democratic. There are also a number of free audio and video playback sessions from past events at Gladstone’s Library, including talks from ex-Director of Liberty Shami Chakrabarti, crossbench Peer, Lord Peter Hennessey, and the Library’s Founder’s Day discussion, hosted by Lloyd Grossman. For more information and to book online visit www.demfest.org. Friday 13th May and Saturday 14th May. Tickets are priced between free and £6 with a £2 Concessions rate. Day Tickets are priced at £45 (including 10 events) or £15 for Concessions. Alternatively, contact Gladstone’s Library on 01244 532350 or enquiries@gladlib.org. Susan Barker grew up in east London. She studied philosophy at the University of Leeds and creative writing at the University of Manchester. 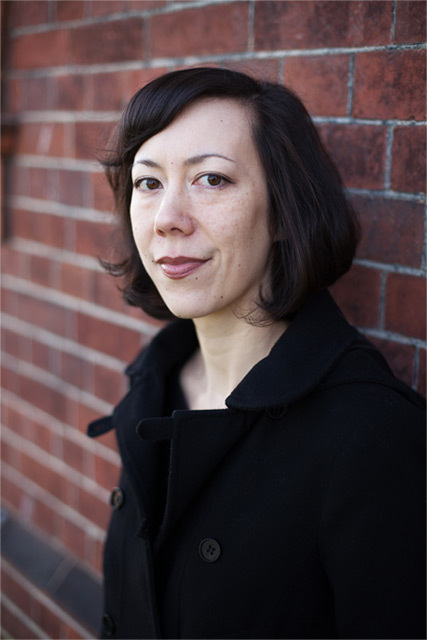 She is the author of the novels Sayonara Bar (2005) and The Orientalist and the Ghost (2008), both published by Doubleday (UK) and longlisted for the Dylan Thomas Prize. Her third novel The Incarnations (Doubleday, July 2014) is about a taxi driver in contemporary Beijing and interwoven with tales from the Tang Dynasty, the invasion of Genghis Khan, the Ming Dynasty, the Opium War, and the Cultural Revolution. While writing The Incarnations she spent several years living in Beijing, researching modern and imperial China. She has received grants from the Arts Council England and the Society of Authors, and has been an artist in resident at the Corporation of Yaddo, Hawthornden International Writers’ Retreat and the Red Gate Gallery in Beijing. In 2010- 2012 she was a Royal Literary Fund Fellow at Leeds Trinity University. Currently Susan is working on her fourth novel while staying as writer in residence at Gladstone’s Library. On Tuesday 12th April, in a talk that includes readings from her award-winning third novel, The Incarnations, Susan will talk about the process of writing her third novel. She will also discuss the challenges of writing from other cultural perspectives as well as making the fictional leap beyond one’s own identity. On Saturday 30th April, Susan will be holding a day long workshop at Gladstone’s Library where she will lead the group through the challenges of conveying works of art in prose. Focusing on depictions of visual art and artists in literature, the group will consider literary texts in which works of art are evocatively conveyed, or in which art becomes a prism through which the historical, political and social context of the day is refracted. Works covered include Siri Hustvedt’s The Blazing World, Cat’s Eye by Margaret Atwood, and Oscar Wilde’s The Picture of Dorian Gray. Following these discussions, participants will work to produce individual stories about an artwork chosen by Susan. Tickets are priced at £15 which includes a copy of Susan’s latest book. Attendees are also welcome to come for dinner which will be served from 6.30pm with prices starting from just £6.75. For more information or to register your attendance please call Gladstone Libary’s Reception on 01244 532350 or email enquiries@gladlib.org. Screening will begin at 7.15pm sharp.